James Earl Jones attends 28th Annual Citymeals-on-Wheels Power Lunch For Women on November 21, 2014 in New York City. 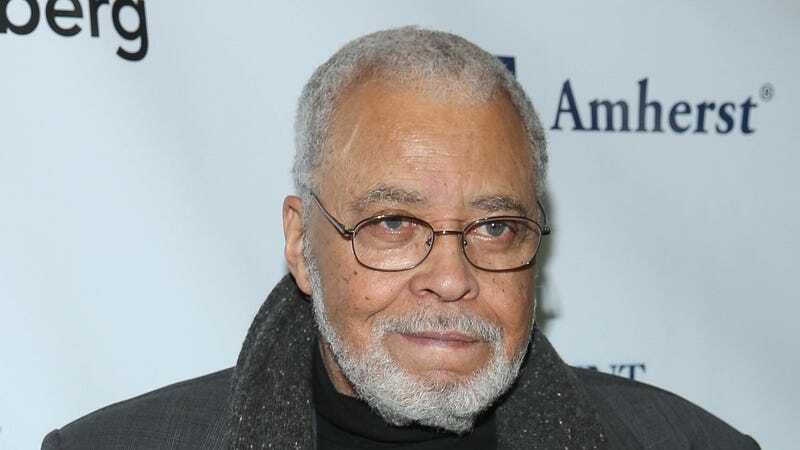 Iconic thespian and dream-narrator-of-my-life-story James Earl Jones is a universal treasure. Born on January 17, 1931, the man, the myth, the legend graced the world with his presence. And that voice—speaking of which, I’m pretty interested in finding out when Jones hit puberty. Did the voice arrive at the typical prepubescent stage or was he hitting baritones in kindergarten? The world needs to know. Jones is a (rightfully) decorated actor, having won an array of distinguished statuettes including Emmys, Grammys, a Lifetime Achievement Tony, and an honorary Academy Award. Sidenote: I know society has taught us to feel a way about our age, but when people get “up there” in age, I always think about how long they’ve lived in decades. For example, Jones has lived over eight decades. That is pretty damn epic. It makes you sound like some legendary historical figure. And that concludes my “glass half full” perspective of the day. Jones boasts unforgettable roles, such as Darth Vader from the Stars Wars saga, Mr. Mertle from The Sandlot, King Jaffe Joffer from Coming to America, Jack Jefferson in The Great White Hope, just to name a few. His IMDB page looks like a “hear ye; hear ye!” scroll. His foray into commercials was great, too. Remember Sprint’s “totes magotes?” It was cray-cray adorbs. Oh, and you can’t have a James Earl Jones appreciation post without (re)acknowledging just how much of a snack he was in his younger days. Not a 100-calorie-pack snack, either. A full-blown high blood pressure inducing snack. Happy Born Day, Mr. Jones. The one true king.